Värnamo Sängkläder AB started in 1951. From the beginning and throughout the years the focus has been on product development and production. Production is based in the company’s modern factory in Värnamo. We are a genuine Småland (A part of Sweden famous for very successfull family businesses) family business now managed by the second generation since its establishment. Quality, flexibility and service are key concepts for Värnamo Sängkläder AB. Read more about the company’s history here. Värnamo Sängkläder AB’s’ own brand is Varnamo of Sweden. Dealers found all over Sweden, in stores from Ystad in the south to Kiruna in the north. Both in physical stores and web shops. The company also has its own online shop. 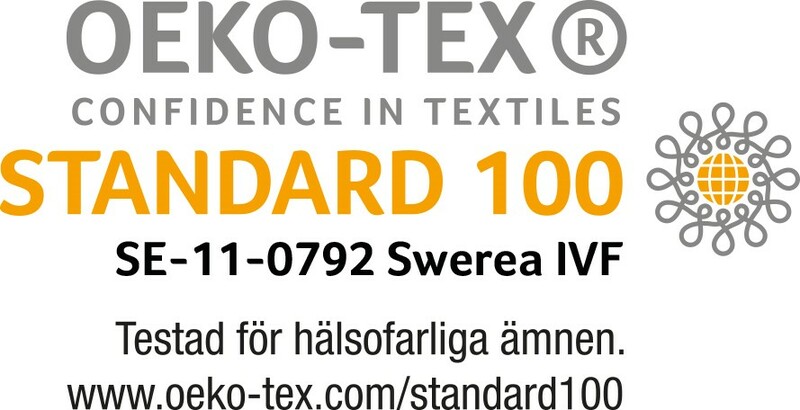 We want to manufacture products that will last for decades and can therefore offer our customers a variety of products marked with the Oeko-Tex certificate. We want to manufacture products that will last for decades and can therefore offer our customers a variety of products marked with Oeko-Tex. This Human Ecology eco-label guarantees that the goods are free from hazardous chemicals, which are especially good for those with allergies. 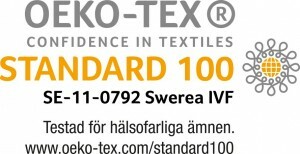 We have Oeko-Tex for both baby and adult. We may in some product even offer organic cotton, grown without pesticides. All in order to offer our consumers the highest quality products. We develop customized care labels and inserts. Also the package can be customized with either a simple vacuum bag or a luxurious bag with handles.